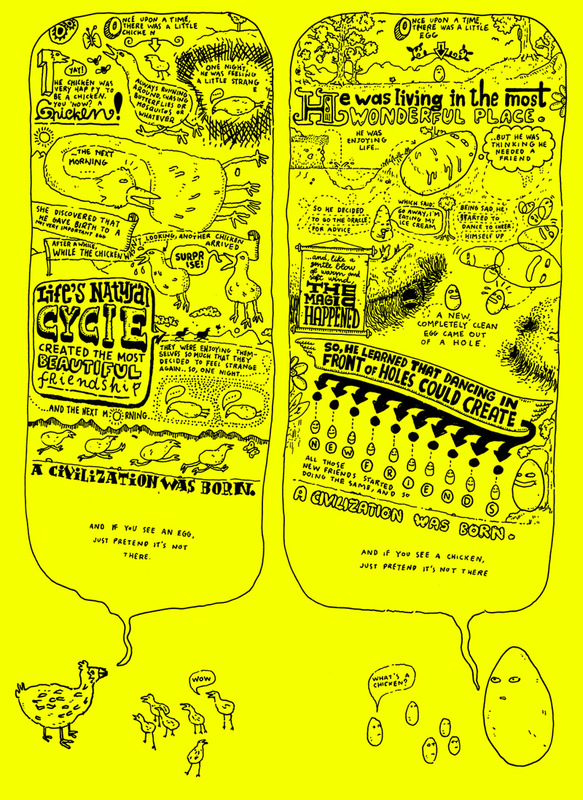 A comic I did for Fab Magazine, back when I was in Fabrica in 2006. It was accompanying an article by Leonora Sartori about what came first, if egg or chicken. I wasn’t really sure so I told both stories. Andy Rementer rewrote the text with handwriting, in style with the comic.